Teer, a Seattle native, grew up with the Washington wine industry. AFTER PIKE PLACE MARKET was saved from demolition and urban renewal in the early 1970s, two of the activists involved decided to open a wine shop. Some 40 years later, Pike & Western continues as one of Seattle’s endearing neighborhood wine shops. 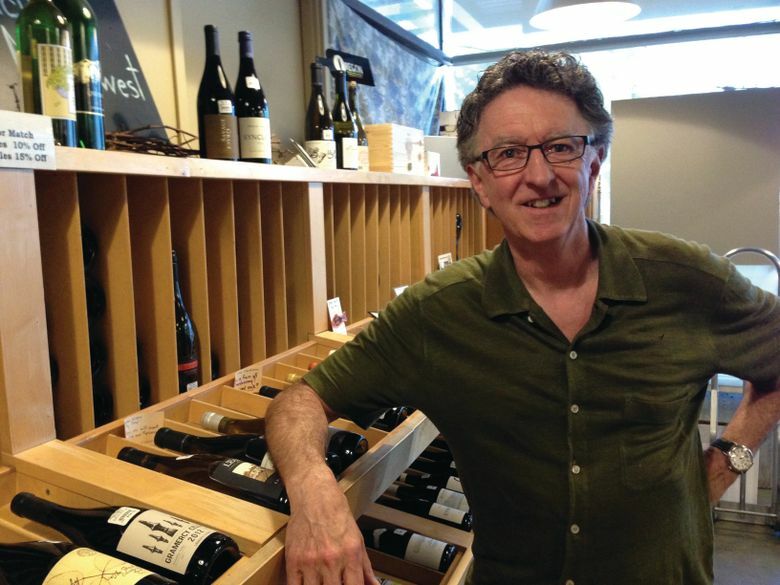 In 1975, when Ron Irvine and Jack Bagdade launched Pike & Western Wine Shop in the lower level of the market, there were few wine shop merchants. Champion Wine Cellars on Denny Way and Esquin Wine & Spirits south of downtown had opened in the late 1960s, and that was about it. Orr Wines 2014 Old Vine chenin blanc, Columbia Valley, $22: Erica Orr has fashioned a gorgeous, dry chenin blanc from two vineyards, planted in 1970 and 1979. There is a wonderful texture, subtle pear/apple fruit and bright acidity. A true Washington seafood wine. Syncline Wine Cellars 2013 grenache-carignan, Horse Heaven Hills, $25: A Rhône-style classic. Grenache gives the wine bright fruit and lively character while the carignan adds dark notes, body and concentration. A wonderful combination. Abeja 2012 cabernet sauvignon, Columbia Valley, $50: This cabernet has all the right stuff in just the proper proportions. There is a rich texture, mouth-filling fruit with just the right amount of oak and a long finish. It is big and beautifully balanced. About a year after Pike & Western opened, a young wine lover wandered in. His name was Michael Teer, and that moment would change his life. By 1980, Teer began working at the shop, which by then had moved to its current location at the corner of Pike Place and Virginia Street, just a few doors north of the original Starbucks. Teer served as de facto general manager until 1991, when Irvine decided to sell him the shop and move on to writing his authoritative book on the Washington wine industry (“The Wine Project”) and buying VashonWinery. Like most small wine shops, Pike & Western serves the neighborhood surrounding it. But because it’s in the Market — one of Seattle’s greatest tourist attractions — Teer also caters to visitors. Because of this, he is often the first person to introduce an out-of-towner to Washington wine, and he relishes his role as a Washington wine ambassador. Teer, a Seattle native, grew up with the Washington wine industry. He recalls the rise of great producers such as Quilceda Creek, Leonetti, Woodward Canyon and, of course, Chateau Ste. Michelle. His tiny shop — just 1,100 square feet — is jammed with regional wines personally selected by Teer and his longtime staff. With the dramatic growth of the Washington wine industry in the past 20 years, Teer is no less enthusiastic about discovering new gems from little-known producers — even if he no longer personally knows every winemaker in the state, as he once did. That kind of passion helped launch Pike & Western four decades ago.